Excellent, Luxury 2+1 Apartment With Fantastic View Of Lake And City. Balcony Surrounds Southeast Side Of Unit. Kitchen Includes High-End Appliances And Granite Countertop Island. Amazing Amenities Include Party Room, Theatre, Indoor Pool, Gym, And Many More. Near Scenic Trail That Is Good For Exercise. Minutes To Exit To Gardiner Expressway. Supermarket, Shopper's Drug Mart, Around In High-Class Community. Live As If In A Resort! Looking To Move In 2020? Then This New Build Is For You. 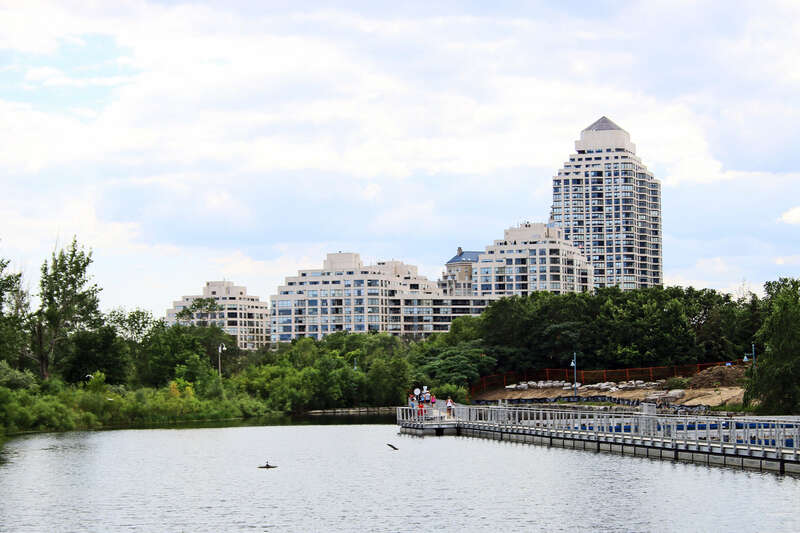 This 2 Bedroom Plus Den Is Located In Vita By The Lake Condos And Is Located At Lake Shore. This Assignment Sale Is 820 Square Fee With Lake View, Wrap Around Balcony, Parking And Locker. Please Note This Is An Assignment Pre-Construction Sale. Welcome Home! This Suite Is In A Great Neighbourhood By The Lake. Turn Key And Ready For Living! 1 Parking Spot . A Boutique Building That Offers Great Amenities; Exercise Room, Party Room, Concierge And Rooftop Deck. Pride Of Ownership And It Shows. A Perfect Opportunity For A Buyer Who Wants The Condo Living But Wants More Space Than The Usual Condo Offers! Modern Luxury Stacked Condo Townhouse At Minto Longbranch. Easy Access To Go Train, Major Highways And The Waterfront. At 626Sqft, This Very Bright Unit Offers An Efficient Layout With A Private Outdoor Terrace And Plenty Of Above Grade Windows. Ready To Move In!